The Red Mountain Racers will be easier to spot this season as they streak down the trails and between the gates sporting flashy new crimson bibs. With the new look comes new sponsors, and the Red Mountain Racers are thrilled to welcome JHC Construction and Re/Max All Pro Realty to the team. 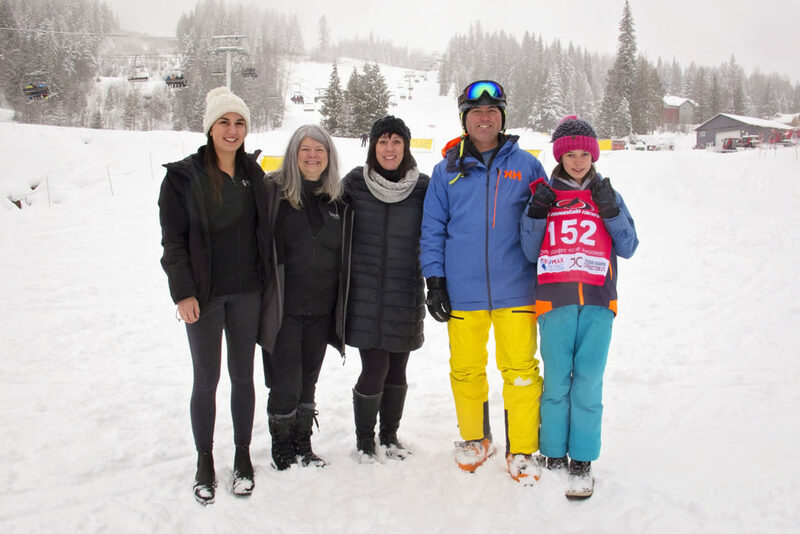 JHC Construction is owned and operated by Rossland local Junior Hamm who also serves as a coach for the Racers. Re/Max All Pro Realty, a Trail institution for more than twenty five years, is coming to downtown Rossland in February of 2019 with a new, three-person office. Realtors and Rossland locals, Christine Albo, Sarah Patershuk, and Jodi Beamish (pictured above) are excited to bring a strong combination of experience, expertise and enthusiasm to the Rossland market. 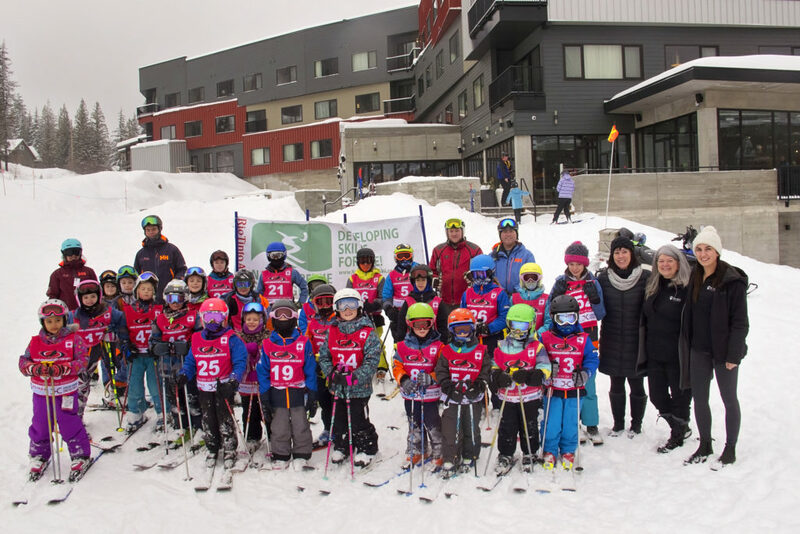 A group of NGSL kids at the Christmas Camp with Re/Max realtors Sarah Patershuk, Jodi Beamish and Christine Albo and Junior Hamm of JHC Construction who sponsored their new bibs.